Apple's Lehigh Valley Mall store in Whitehall, Pa. is relocating to a bigger space, with plans to throw open the new doors in September. The current Lehigh Valley store. The shop will in fact combine two spaces previously held by J. Crew and Ann Taylor, according to The Morning Call, pointing to a U.S. Securities and Exchange Commission filing by the mall's co-owner, Simon Property Group. It's not immediately known when construction will start or when the old location will close its doors. The original Lehigh Valley store dates back to 2007, when the mall launched a $40 million expansion. It's relatively cramped by modern Apple standards, without the room to display much of the 2018 product line. The company will presumably use the relocation as an opportunity to switch to its latest design motif, which includes wooden shelves, oversized video displays, and — where room is available — things like trees and seating for Today at Apple events. Apple has been renovating and/or relocating many of its U.S. stores, some of which predate the iPhone and haven't kept up with Apple's evolving size, wealth, and aesthetics. 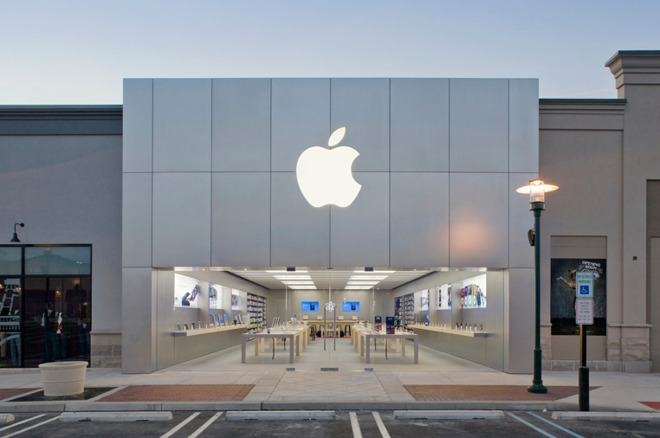 Whitehall is on the outskirts of Allentown, and Apple's store there serves that city as well as a number of surrounding communities.